Make sure you have adequate representation for past, present, and future health care compliance issues by contacting Jack J. Pivar - Attorney at Law of Delmar, New York. We offer legal services for diverse medical compliance issues for people nationwide. Contact us to make an appointment today. Jack J. Pivar - Attorney at Law handles hearings on medical necessity, Medicare eligibility, Medicaid eligibility, post-payment audits, and pre-payment review. We represent people under investigation for fraud, design compliance programs, and do health care compliance investigations ourselves. Program design takes anywhere from a few weeks to a few years depending on the size of your company. We start by examining the area of investigation and all documentation. Then, we interview individuals and contact investigation authorities to start working things out. Our team has decades of experience representing major health care organizations and knows how to design programs that work for you. We draft and obtain approval for codes of conduct; identify a compliance officer, whether you have someone in mind or need someone new; and put your program to work. Smaller companies need just one officer; larger companies need at least two or three. We come back periodically to update audits. 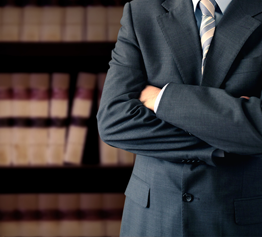 Call or email us to obtain more information about our legal services for health care compliance issues.